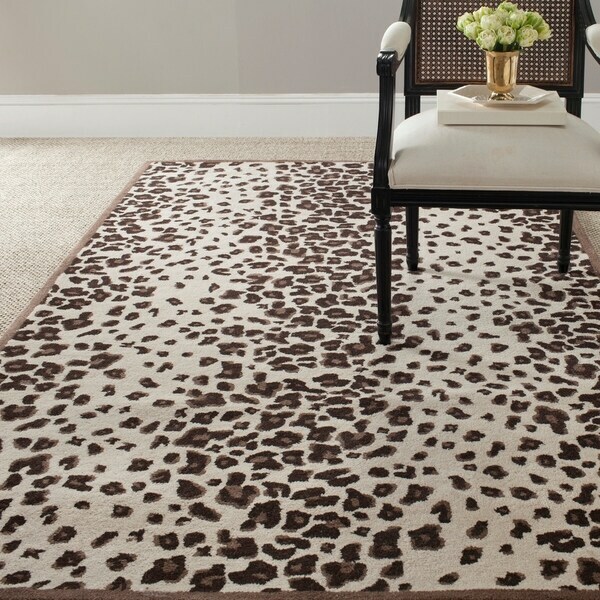 I purchased a larger animal print rug from Overstock many years ago and still love it. It's been moved to my office, so needed another area rug to anchor the livingroom. After shopping for months, decided on this Martha Stewart. 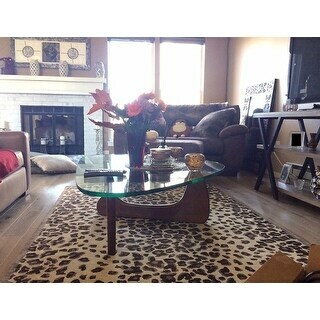 I hadn't planned on buying another 'wild' rug, but love the pattern. This isn't too dense and is a somewhat updated leopard print. The fact that it's wool; well made and the right color make it a perfect addition to the room. The price is the icing on the cake !!! Kalahari is an update to the classic leopard print. This modern interpretation was first hand drawn, using a naturalist's photo as inspiration. Hand-tufted in India, the rug is made of premium wool with viscose highlights. The beautiful colors give the pattern a soft, contemporary feel that enlivens the decor of bedrooms, living rooms, and family rooms. Looks great. Thick rug. Quality. Beautiful print. like the fact that this one is wool and an animal print with the colors I need. I liked the look of the rug in the pictures. Safavieh Couture Hand-Knotted Tibetan Contemporary Silver Wool & Cotton Rug - 5' x 7'6"